Diary 10th July 10, 2006 St. Lucia Ella’s Diary We went whale watching today (well dad didn’t)-he gets seasick. We saw humpbacks; they are the 5th biggest animal in the world! It took a while for them to get used to the boat but in the end the relaxed and started Breaching and doing tail sails and flips upsidown! Unfortunately we didn’t get a go picture of them breaching. Whale facts •	The blue whale can grow up to 30m!! !- Also the largest animal that has ever lived! •	Humpback Whales are the 5th biggest animal that has ever lived (13-14m)! 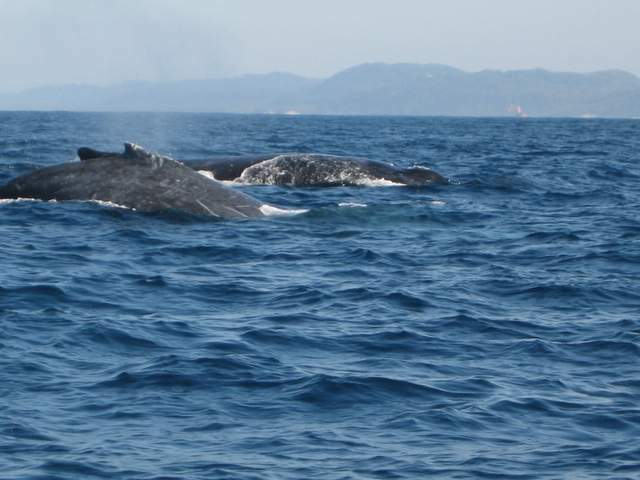 •	Humpbacks travel 8000km a year (4800m). •	Most whales can actually go 50kmh.